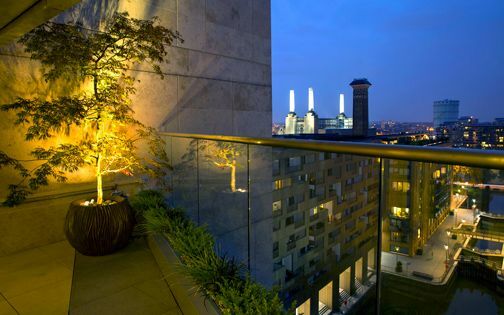 Since our first commission in 2001, designing and building a 12th floor penthouse roof garden overlooking Hyde Park, the lofty outdoor lifestyle which epitomises London's skyline has evolved tremendously. 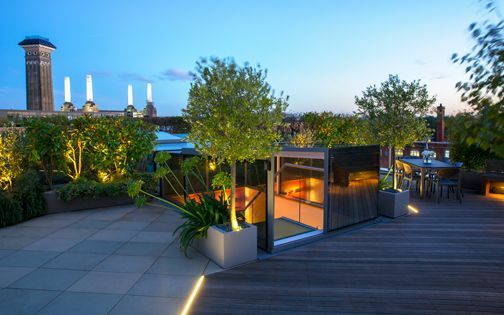 With purpose-built roof gardens, professional rooftop consultants and project constructors aplenty, this captivating array of sky gardens is no longer an exclusive prerogative of mere city aficionados and urban connoisseurs. 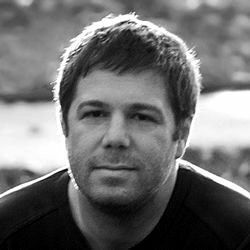 The progressive construction techniques and creative design solutions which define contemporary rooftop living enable diverse, verdant and connective roof garden projects indeed. 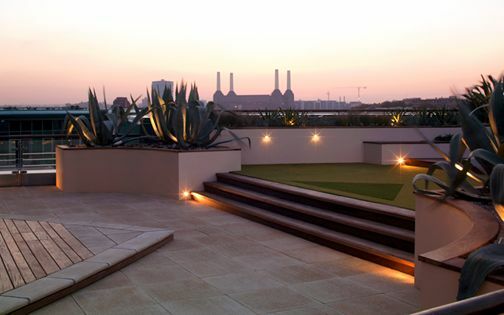 A large contemporary roof garden in SW8. Location: Central London. Size: 220sqm. 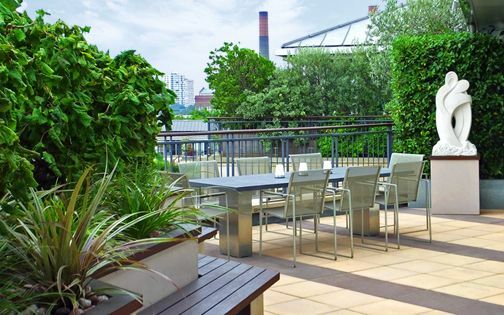 Roof garden: architectural planting, multilevel decks, artificial grass, raised beds, hedging, custom-built benches, paving. Project images: Timothy Soar. Large-scale commercial roof garden in WC2. Location: Central London. Size: 300sqm. Roof garden: large specimen trees, custom-made powder-coated planters, corporate entertaining zones, automatic irrigation, lighting. Project images: Amir Schlezinger. 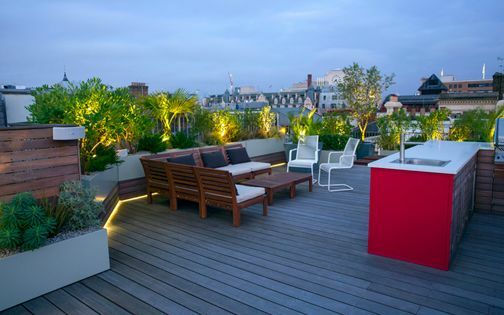 A penthouse roof garden in SW11. Location: South West London. Size: 85sqm. 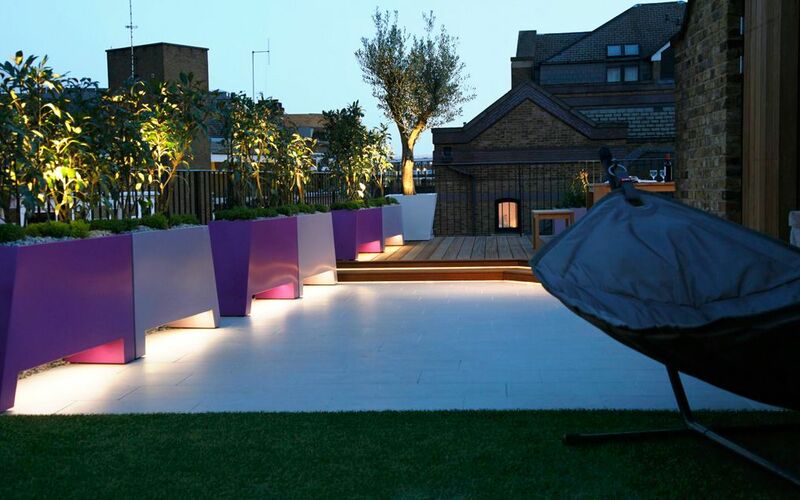 Roof garden: artificial grass putting green, waterfall, daybed bench, raised beds, hardwood deck, bespoke planters, sound system. Project images: Amir Schlezinger. 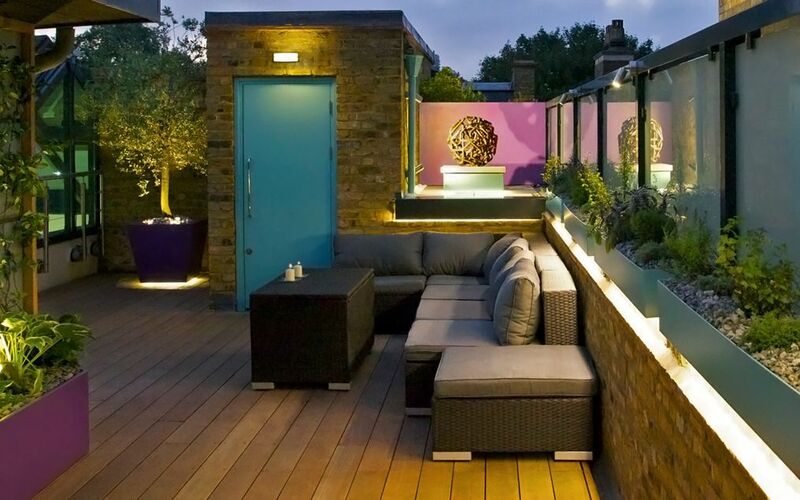 A large penthouse roof garden in WC2. Location: Central London. Size: 125sqm. 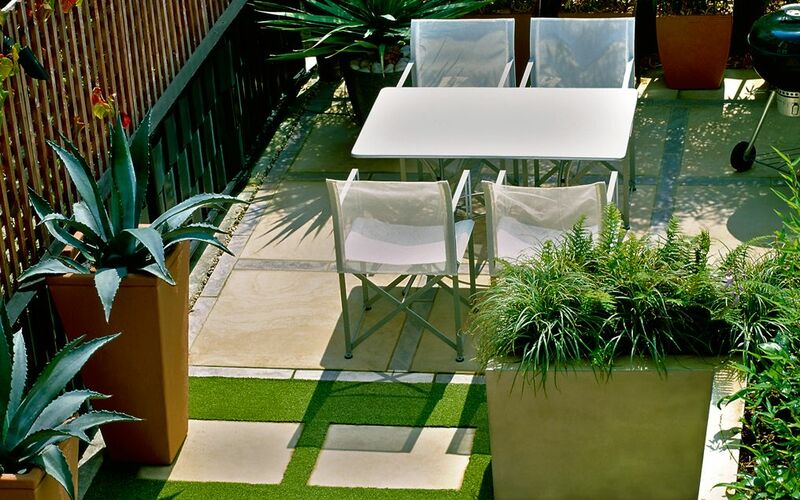 Roof garden: outdoor cooking hub, sound system, deck, tiled lounge, synthetic grass, fitted troughs, privacy screens, herb garden. Project images: Marianne Majerus. A natural roof garden in EC1N. Location: Central London. Size: 75sqm. 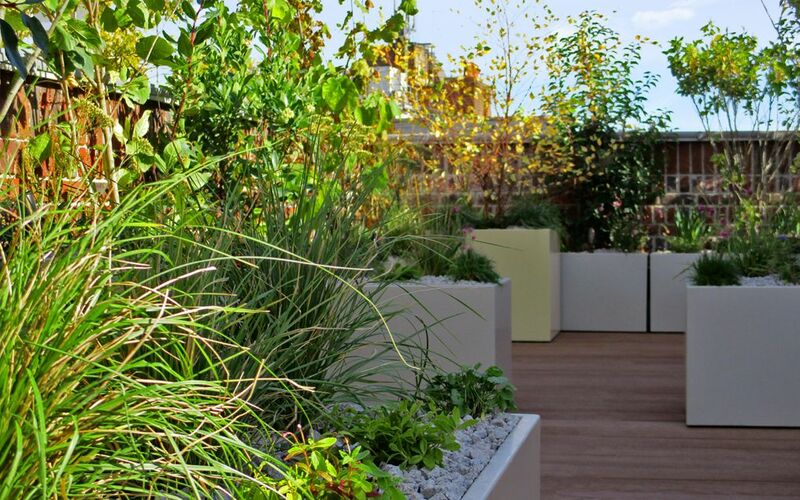 Roof garden: native wild planting scheme, bespoke planters, lighting and irrigation, with diverse wildlife habitats. Project images: Amir Schlezinger. Wharf private rooftop garden in SE1. Location: Central London. Size: 120sqm. Roof garden: coastal planting, colour scheme, bar, benches, artificial grass, porcelain tiles, sound, lighting and irrigation systems. Project images: Helmut Reinelt. Sunny roof garden terrace in EC1R. Location: Central London. Size: 60sqm. Roof garden: buff sandstone paving, Cedar detailing, storage, raised beds, sculptural planting scheme, synthetic grass, screening. Project images: Helen Fickling. 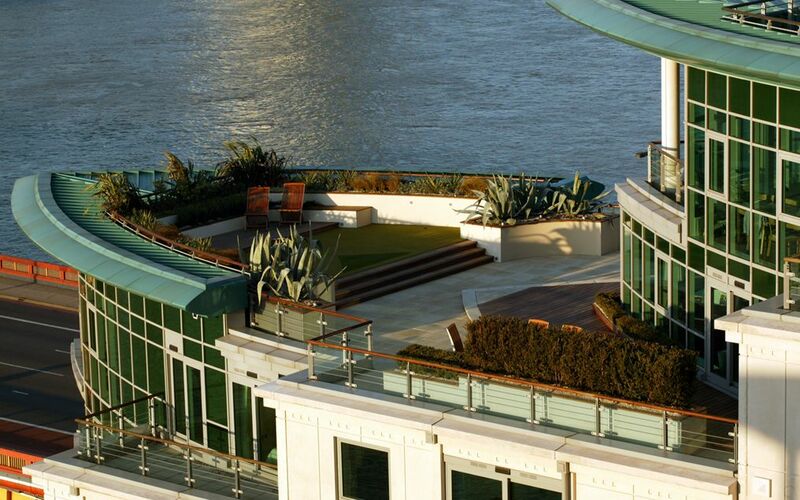 A riverside penthouse suite roof garden in SE1. Location: Central London. Size: 75sqm. 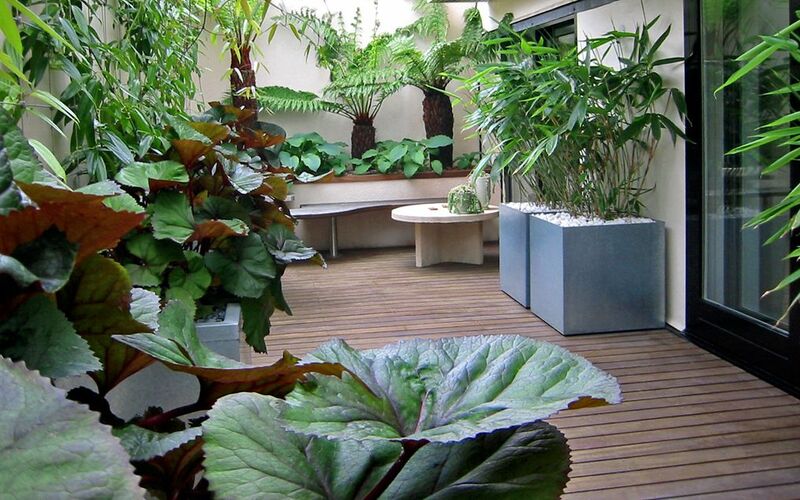 Roof garden: subtropical planting, raised beds, Teak decking, green wall, sculpture, built-in bench, kitchen terrace. Project images: Amir Schlezinger. Mediterranean roof garden in SW11. Location: South West London. Size: 45sqm. Roof garden: Mediterranean flora, Cedar decking, porcelain tiles, screening, built-in bench, raised beds, structural reinforcement. Project images: Amir Schlezinger. 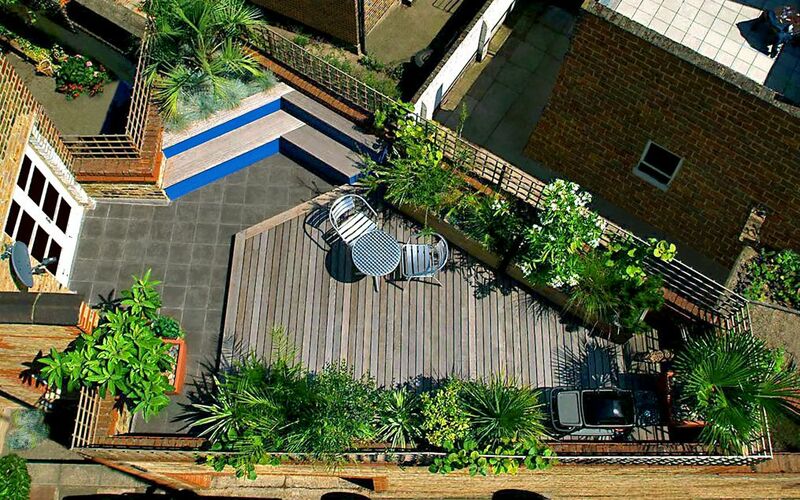 A small residential rooftop garden in NW3. Location: North West London. Size: 30sqm. 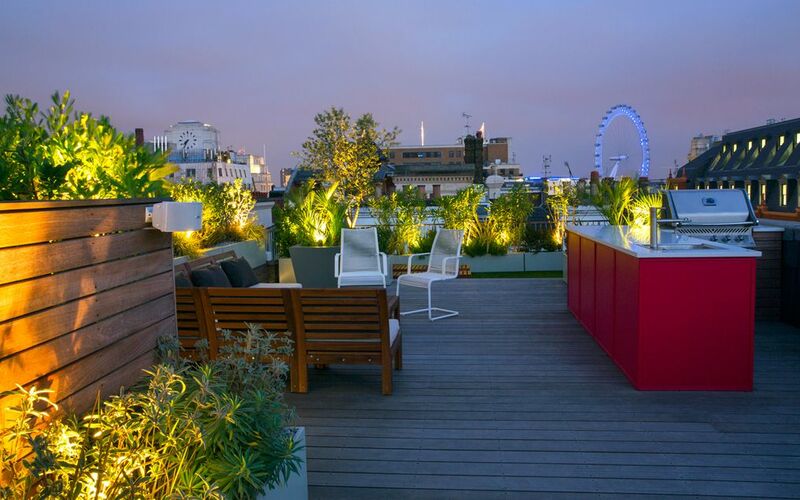 Roof garden: Hardwood decking, buff sandstone, bespoke planters, coastal flora, colour scheme, sound system, lighting. Project images: Amir Schlezinger. 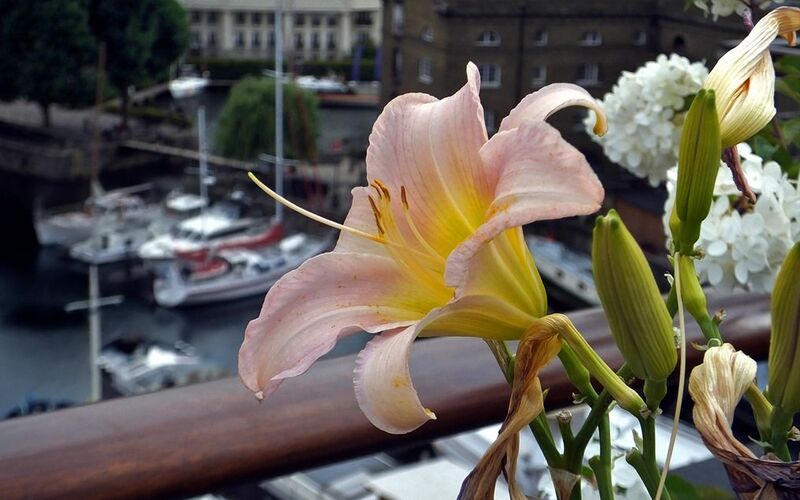 Riverfront wharf penthouse duplex roof garden in E1. Location: East London. Size: 50sqm. 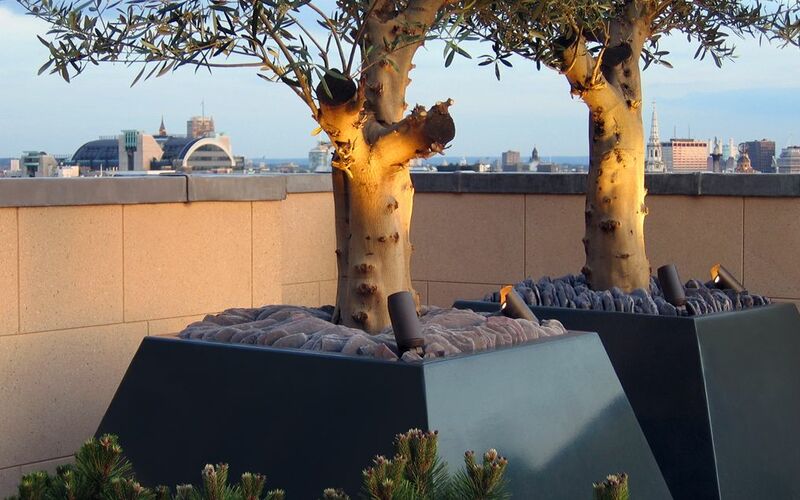 Roof garden: architectural trees, decking, natural stone, sculpture, powder-coated detailing, screening, one-off troughs, LED lighting, green wall. Project images: Lucy Fitter. A loft roof garden collection in SE1. Location: South East London. Size: 25sqm. 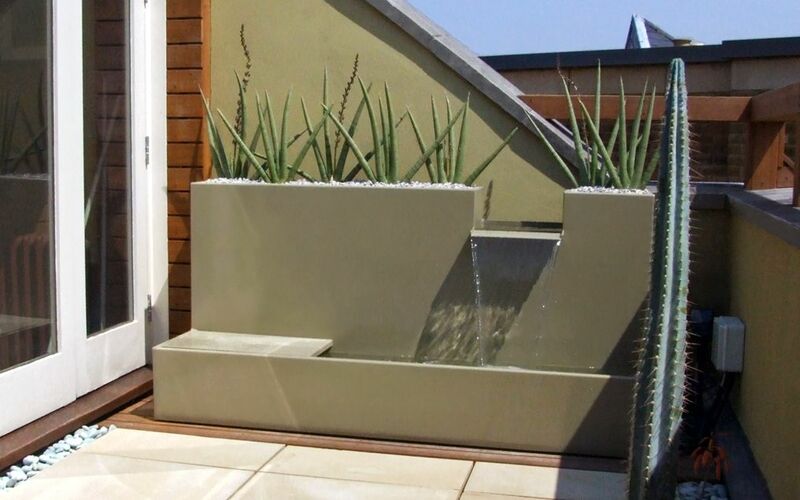 Roof garden: hardwood detailing, bespoke waterfall, desert planting, arbour, benches, bar, sandstone, sculpture wall. Project images: Amir Schlezinger. 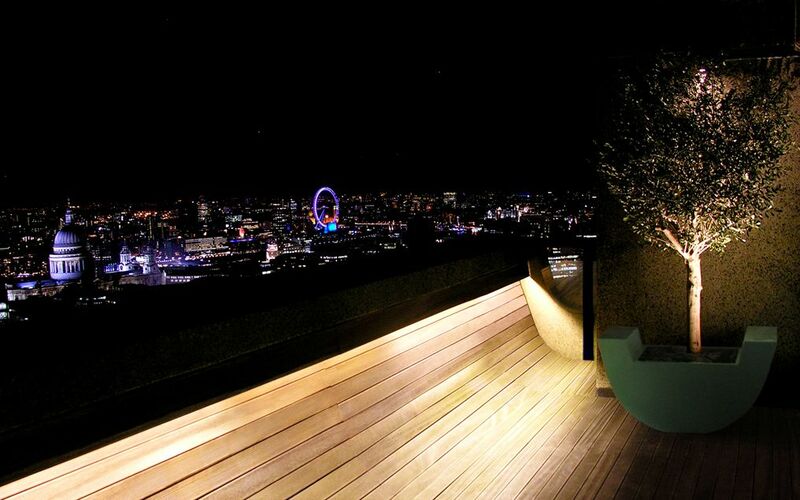 Triplex penthouse roof garden series in EC2. Location: Central London. Size: 50sqm. 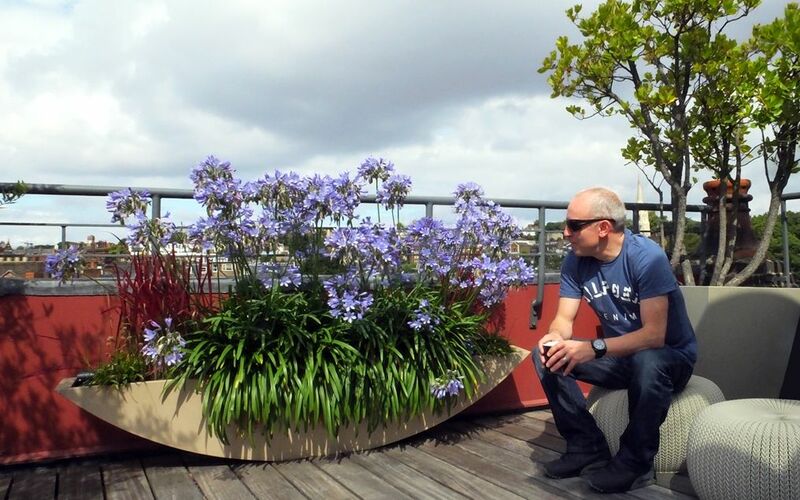 Roof garden: viewing platform, architectural trees, custom-designed planters, sandstone, Ipe decking, lighting, access logistics. Project images: Amir Schlezinger. A wildlife roof garden in EC1V. Location: Central London. Size: 65sqm. 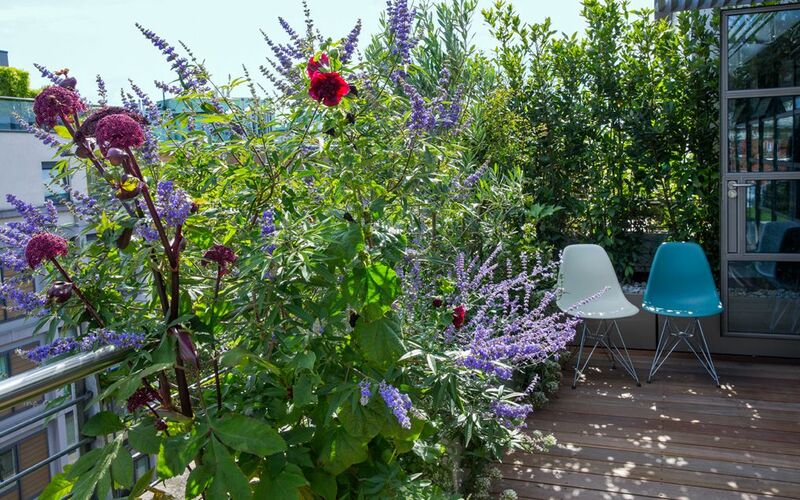 Roof garden: wildlife and kitchen gardens, city viewing raised platform., decking, natural stone, artificial grass, customised troughs. Project images: Marianne Majerus. Marina penthouse roof gardens in SE1. Location: East London. Size: 80sqm. Roof garden: bespoke granite pavers, herb, kitchen, flower and wildlife planting, living walls, native trees, powder-coated planters. Project images: Amir Schlezinger. 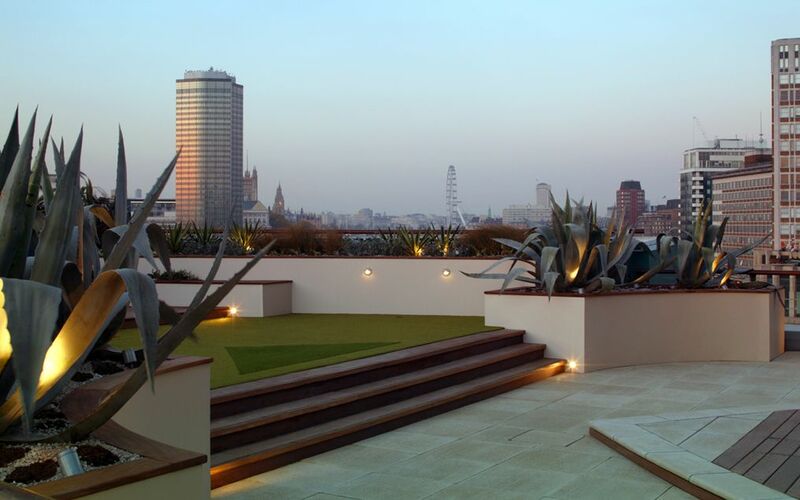 Although we occasionally develop commercial roof gardens in the City of London, our main design & build repertoire focuses on residential roof terrace gardens for private clients. The uniqueness, intimacy and dynamic lifestyle nuances of such intriguing outdoor spaces propel inventive personalisation, architectural clarity and foliage lushness. 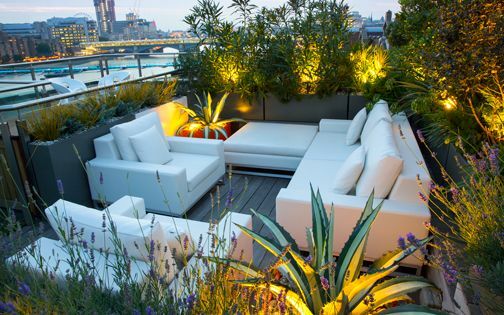 In all of our London roof garden projects, we strive to balance ecological necessities, logistic constraints and design challenges to accomplish memorable, durable rooftop transformations across diverse locations and scales, which connect and embrace their city skylines and our clients' aspirations with fully customised, optimal roof gardens.